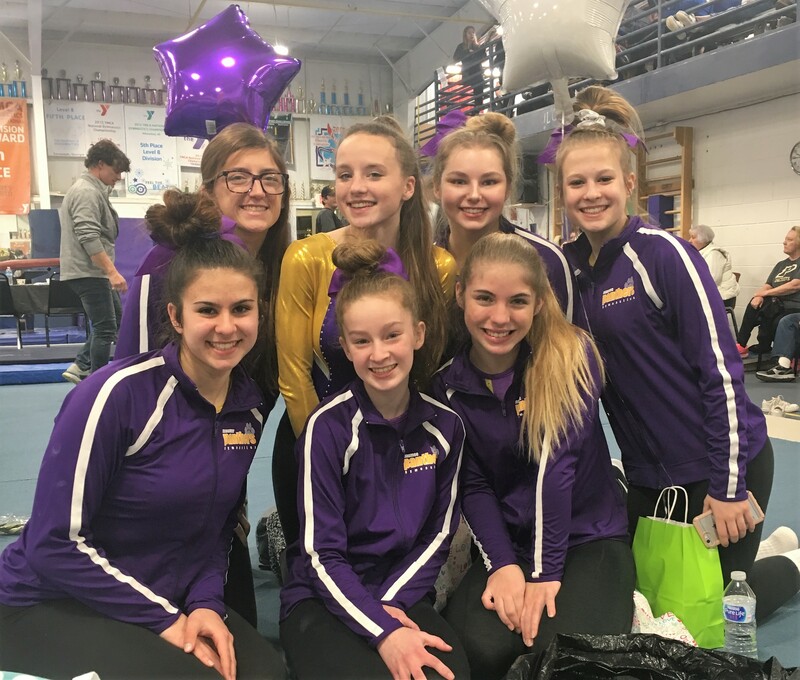 The Panthers gymnastics team placed 3rd tonight at NLL Championships. Senior, Alyssa Delffs placed 7th on the balance beam, 2nd on the vault, uneven bars and all around and 1st place on the floor exercise. Senior, Haley McNutt placed 10th in the all around, 8th on the uneven bars and 6th on the balance beam. Sophomore, Macy Kreiner placed 10th on the balance beam and 9th on the vault. and freshman, Cassie Durham placed 5th on the balance beam. Also contributing to the team score tonight were junior, Danielle Bartek and sophomore, Kylie Miller. Alyssa was named part of the NLL 1st team, Haley and Cassie were named part of the NLL 2nd team, and Macy was named part of the NLL 3rd team. Congratulations girls! Great job tonight and best of luck at district championships! !